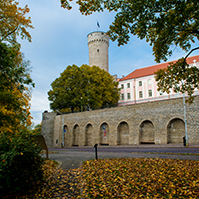 Prime Minister Andrus Ansip, the President of the Bank of Estonia Andres Lipstok and the Chairman of the Management Board of the Financial Supervision Authority Raul Malmstein presented their reports before the Riigikogu. Prime Minister gave an overview of the situation in research and development activities and the Government’s policy in this sphere. Mr. Ansip stated that the total expenditure on research and development activities in Estonia during the years 2001-2004 has increased more rapidly than in other Member States of the EU. Mr. Ansip highlighted a low level of private sector investments as a bottleneck in financing the research and development activities. “We must be able to motivate the private sector to take risks and to deal with spheres which have an important role in creating skills and knowledge, “ he marked. The head of the Government hopes that by the year 2010 the expenditure of the research and development activities could be increased to 1.9 percent of the GDP. In the words of Mr. Ansip, the success of the research and development activities is ensured with education of the people, a favourable innovation and business environment and intra-research development paths. 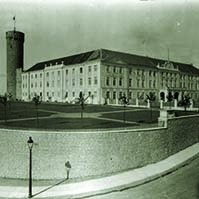 Prime Minister considers it important to make research topics, especially exact and natural sciences more attractive. 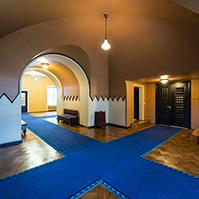 “Innovation must become the lifestyle of Estonians,” he stressed. Mr. Ansip considers that making clear choices in financing the research and enterprises development activities is the most important criterion of success. “We have little hope to achieve the set goals without the targeted use of means, “ he said. Mr. Ansip named sustainable technologies, information technology, high-technology services, biomedicine and biotechnology, energy and chemicals as development spheres important to Estonia. 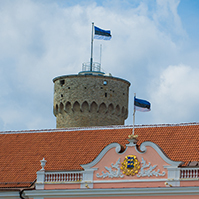 The President of the Bank of Estonia Andres Lipstok also presented a report before the Riigikogu, giving an overview of the annual report of 2005 of the Bank of Estonia. Mr. Lipstok pointed out that the monetary policy based on the Monetary Committee had justified itself in every way. He also expressed his pleasure about the high state rating which made the region attractive to investors. Speaking of dangers related to the rapid economic growth, Mr. Lipstok highlighted the overfunding of the spheres of activities oriented only to the internal market, as well as the decrease in the growth of export, which might endanger the external balance. Mr. Lipstok also stated that the increase in the cost of labour was not in correlation with its profit-earning capacity. According to Mr. Lipstok, at the beginning of the year 2006 the risks have increased. “The domestic demand is high, the deficit of book account has increased and the pace of inflation has not decreased,” he stated. The Chairman of the Management Board of the Financial Supervision Authority Raul Malmstein used the expression “golden age” of the financial sector when presenting the 2005 annual report of the Financial Supervision Authority. Beside the profit-earning capacity of banking, insurance and brokering of securities, Mr. Malmstein also highlighted the problem of imposing a fair penalty on economic criminal offences. Mr. Malmstein referred to the fact that the income deriving from crime might amount to hundreds of millions of kroons, but the Penal Code and specific laws provide for the maximum fine rate EEK 50,000 for the offences in financial spheres. Despite the fact that the fine rate is to be increased to half of a million kroons, Mr. Malmstein thinks that the maximum fine rate, established by the Penal Code, must be considerably more increased. 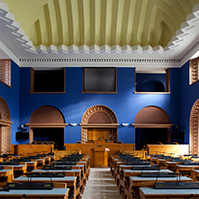 The Riigikogu concluded the second reading of the Bill on Amendments to the Electronic Communications Act, Information Society Services Act, Penal Code, Code of Criminal Procedure and Code of Misdemeanour Procedure (913 SE), initiated by the Estonian Centre Party Faction, Estonian Reform Party Faction and Estonian People’s Union Faction. The motion of the Isamaaliit and Res Publica Faction to suspend the second reading of the Bill was not supported. 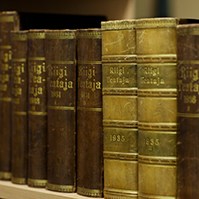 27 members of the Riigikogu voted in favour of the motion and 55 members of the Riigikogu against it. On the motion of the Isamaaliit, Res Publica and Social Democratic Party Factions, the working hours of the sitting were extended to 2 p.m.